The Good Shepherd Primary Catholic Voluntary Academy opened in 1951. 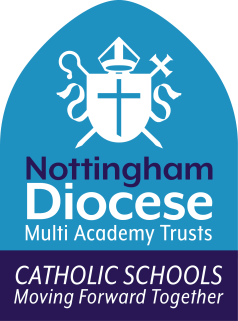 Located in Woodthorpe, Nottingham, it is a larger than average primary school, serving more than 400 children in the area. The school was judged ‘outstanding’ in its latest Diocesan Canonical inspection and is currently rated ‘good’ by Ofsted. The Gospel message is the focus of school life, not only in prayer and celebration, but through actions, relationships, learning opportunities and play. The school believes in the Whole Child Approach to learning and strives to create an environment where every member of its community feels safe, loved, valued, respected and challenged and can therefore go on to experience success. The school sets high standards and expectations for its pupils and instils in everyone a desire to fulfil their potential and achieve their life goals. A broad and balanced curriculum is offered, enriched with visitors, school trips, events and activities to inspire each child in the joy of learning. The school nurtures and develops unique and individual talents and provides memories that sustain children beyond their time at school and helps equip them for later life. The school is proud of its strong community, with supportive staff, governors and parents and values its close links with its parish and priests of The Good Shepherd Church, Woodthorpe. The Good Shepherd Primary Catholic Academy is a lively, thriving and nurturing environment in which children can enjoy learning and growing enriched by the presence of God.